The fairest of all the flowers! 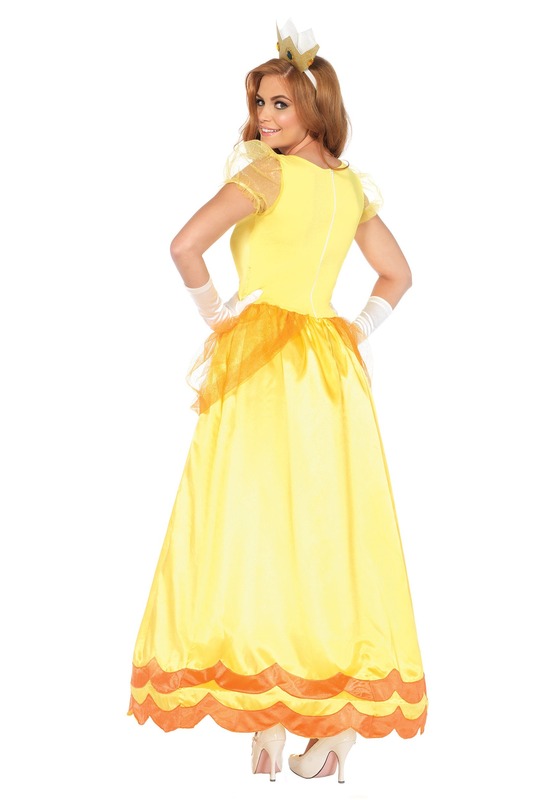 It's a little known fact that all flowers have assigned princesses. There's the Rose Princess, who sits upon her rose petal throne and makes sure that all the roses grow strong and beautiful. There's a Daisy Princess, an Orchid Princess, and a Tulip Princess, but the most elegant and opulent flower princess is undoubtedly the Sunflower Princess. This lovely yellow ruler has her work cut out for her since her beloved sunflowers need a lot of care if they're going to bloom big and bright. Not only do they make a beautiful decoration, but sunflowers provide us with yummy sunflower seeds to munch on and helpful sunflower oil to cook with! Thank goodness, the royal Sunflower Princess is there to keep these stunning stemmed specimens growing strong. If you want to see what it's like to live a day in the life of the gorgeous Sunflower Princess, then we have a surprise that you'll love. 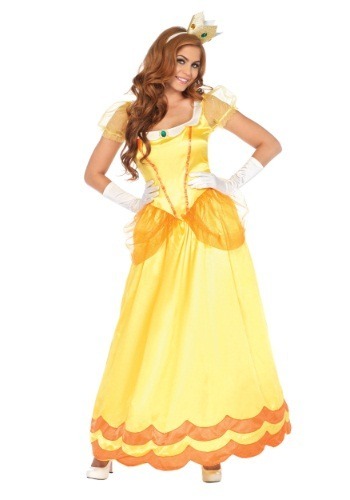 This costume comes with an exquisite full-length yellow gown, featuring scalloped edges and a flattering square neckline. The faux gem in the center of the garment adds just the right amount of bling. Place the miniature sparkly crown on your head and start prowling the garden for any sunflowers that need some extra love and care. Just add some long white gloves to your order and you'll be ready for some fun in the sun. Team up with the other flower princesses and enjoy some of your favorite activities, like watering, planting, and seeding.